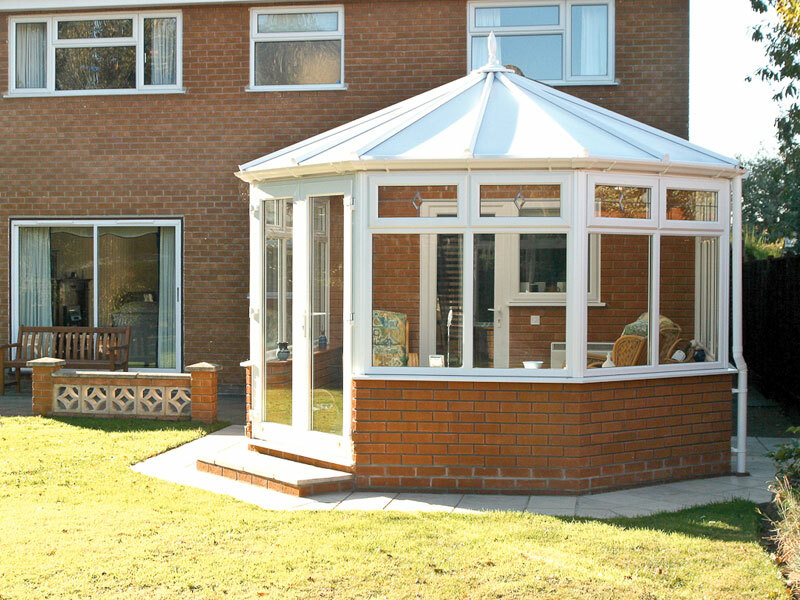 PVC Victorian Conservatories make use of awkward space and suit both traditional and contemporary homes. A PVC Victorian conservatory, usually with a 135 degree, octagonal shape, but possible with different numbers of facets; with its classic good looks and elegant design features, looks good on almost any home, whether it be of traditional or modern style. 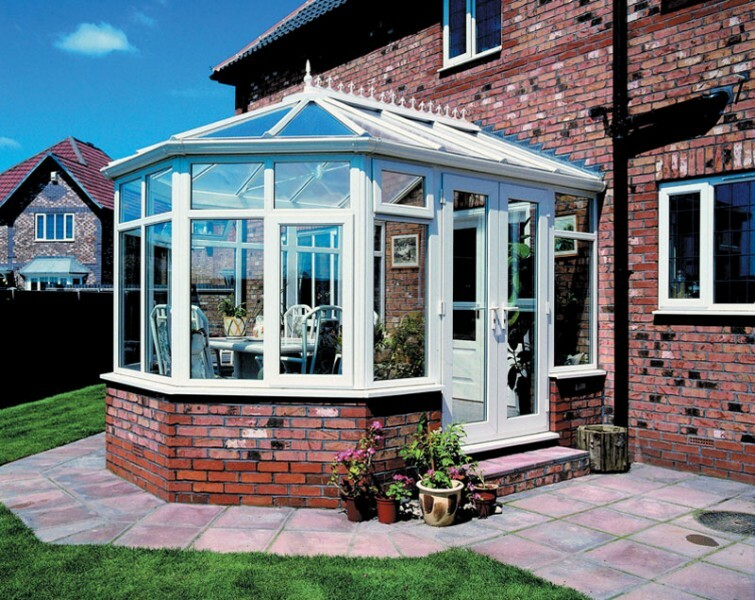 Hallmark PVC Victorian Conservatories are meticulously built to the highest standards. They offer outstanding levels of security, while also reducing noise and maintenance requirements. The traditional Victorian conservatory is particularly suitable for older properties and is available in 3 and 5 bay segments. French doors can be positioned in the front, sides, or bay returns, depending on the size. It is also possible to create a ‘stretched front’ Victorian conservatory, thus maximising floor space. If your home is a bungalow or has a low eave roof, it is possible to hip back the roof and fit a custom manufactured box gutter to overcome any height restriction issues. The alternative solution is to have a dummy tiled gable added to your existing roof, which creates the effect that the conservatory was part of the original property design. 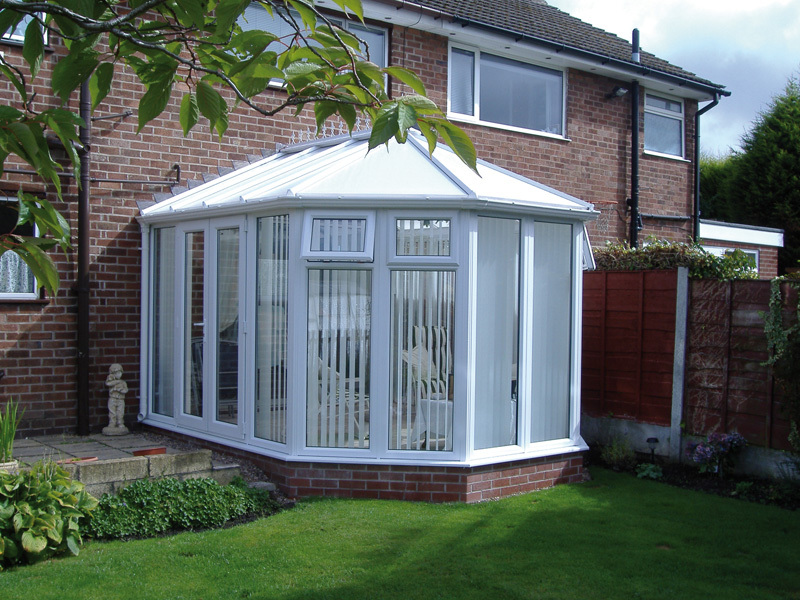 Whether you prefer three or five facets, equal sized or wider, stretch fronted styles, the versatility and pleasing aesthetics of the Hallmark PVC Victorian Conservatory make it suitable for almost all houses. 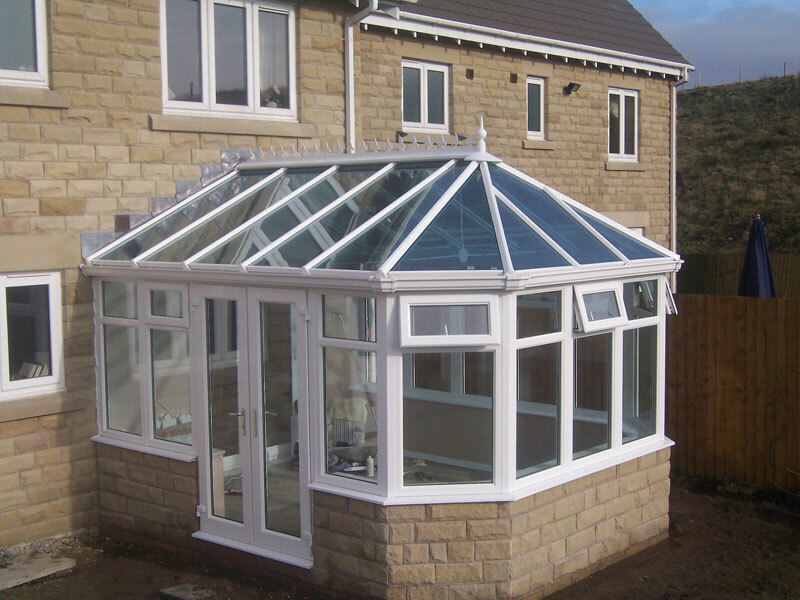 However, it should be noted that whilst the angled sides often allow a conservatory to fit into the shape of a garden where a squarer shape wouldn’t fit, if it is small, it will have the disadvantages that the cut-off corners noticeably reduce the space. However, stretched front PVC Victorian Conservatories can make elegant rooms without losing too much corner space. Hallmark experienced conservatory designers can assist you through all the options and design considerations making sure you will get exactly what you want. 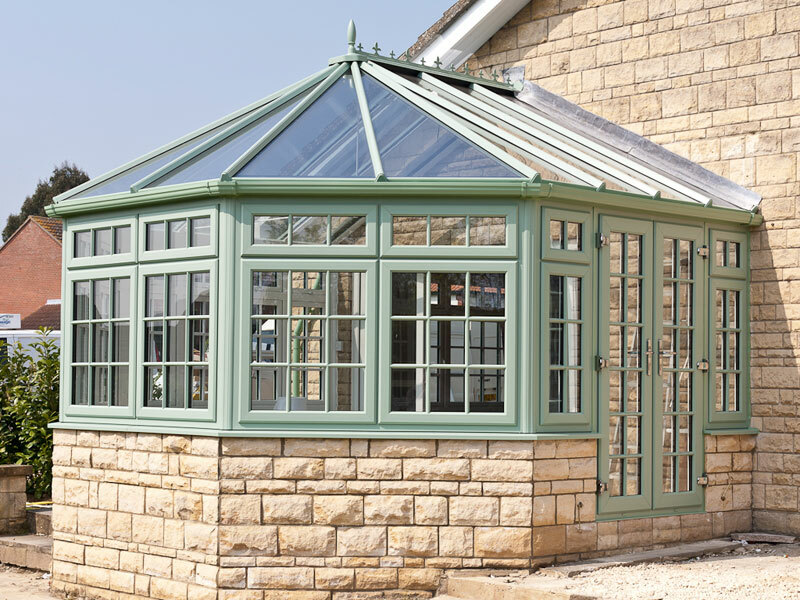 We ensure your new conservatory is made to your requirements and Hallmark Conservatories offer a range of options such as the position and number of the doors, the number of opening windows, the type of glass, frame colours or the type and colour of the window boards. These are just some of the decisions we will help you make to ensure your conservatory compliments your home and makes the most of the space it fills. Where planning or building regulations are required, we will advice and deal with these for you. 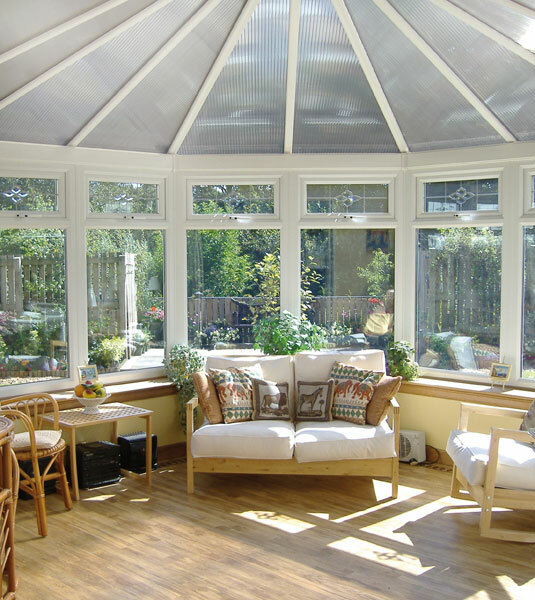 All Hallmark conservatories are provided with high performance ‘A’ rated 28mm glass to frames and roofs as standard, with the very popular option of upgrading to an ‘easy clean’, solar control glass in the roof. Manual or automatic roof vents can be built-in as required to provide more ventilation if necessary.